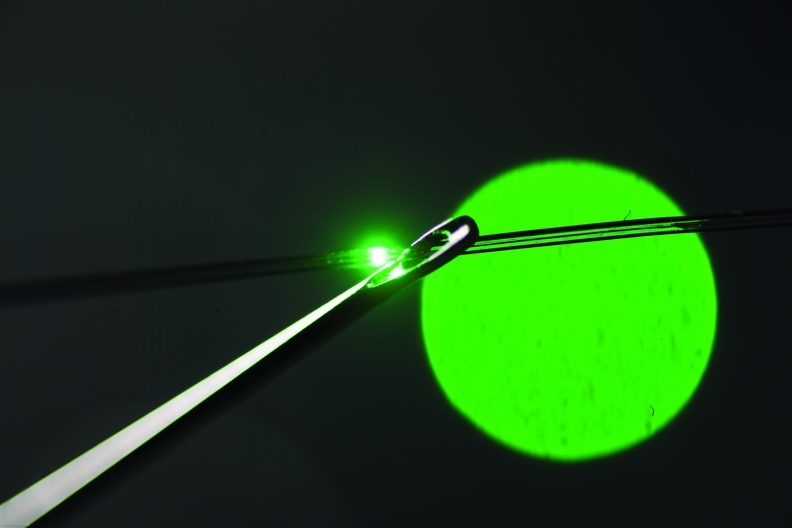 The LED-embedded fibers are so fine you can thread a needle with them. A bandage containing “smart” technology could theoretically monitor continuous healing over time, according to researchers at MIT. The idea branched from a project by Massachusetts Institute of Technology graduate student Michael Rein along with his adviser, a team of MIT researchers and several labs: soft, washable fabrics made up of fibers embedded with electronic devices to create a communication system. The fibers in these “smart” fabrics communicate through light with a combination of LEDs and photodetectors. Together with thin copper wire, they're melded into long fibers, with the wire connecting the diodes. The cloth spun from this fiber is inherently waterproof; researchers tossed them in the laundry at least 10 times to demonstrate their practicality to function as clothing. “In the years ahead, fabrics will deliver value-added services and will no longer just be selected for aesthetics and comfort,” said Yoel Fink, Rein's research adviser and CEO of Advanced Functional Fabrics of America, a not-for-profit affiliated with MIT. Researchers say fabrics could be used for physiological monitoring, such as a fabric wristband to monitor pulse or blood oxygen levels. According to Fink, the U.S. Defense Department is also exploring military applications for U.S. troops. Initial commercial uses of the technology will be specialized products involving communication and safety. According to Fink, they could start reaching the market early next year.